COLUMBUS - Yesterday, Senator Joe Schiavoni (D-Boardman) and Senator Capri S. Cafaro (D-Hubbard) introduced S.B. 128, which would designate May 30th as Bartter Syndrome Awareness Day. The Senate passed S.B. 128 with unanimous support. Bartter Syndrome is a rare, inherited series of closely related renal tubular disorders that cause the kidneys to remove too much potassium from the body. Individuals with this disease also lose an excess of sodium and chloride. There are five different types of Bartter Syndrome. Washington, D.C. – Congressman Tim Ryan (D-OH) and Congressman David Joyce (R-OH) today introduced a resolution to designate each May 30th as National Bartter Syndrome Day. 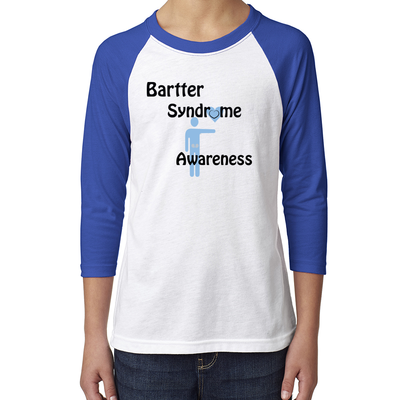 This designation would give much needed attention and increase awareness for the one million people worldwide affected by Bartter Syndrome and their families working though the difficulties associated with this little known disease. Bartter Syndrome is a group of very similar kidney disorders that cause an imbalance of potassium, sodium, chloride, and other molecules in the body. This legislation was inspired by 12 year old Ethan Hoffman from Warren, Ohio who suffers from Bartter Syndrome and with his family, has met with Congressman Ryan to brief him on the importance of increasing awareness for this disease. The Bartter Syndrome Foundation, 'EthansCure.org' has received verification from the United States Internal Revenue Service for 501(c)3 public charity status. A public charity, identified by the Internal Revenue Service (IRS) as "not a private foundation", normally receives a substantial part of its income, directly or indirectly, from the general public or from the government. The public support must be fairly broad, not limited to a few individuals or families. As a result our foundation can now assist more families and donate additional funds for research in hopes of finding a cure and/or alleviating some of the deleterious symptoms of this disease. 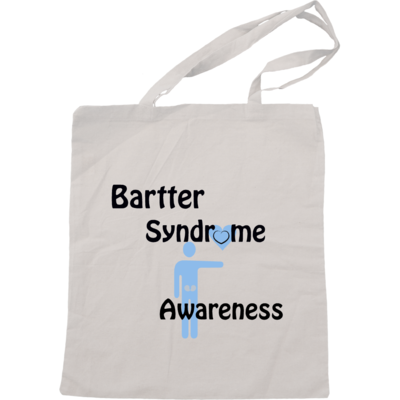 Please help us and join our mission at raising awareness and advocacy for barter and gitelman syndrome! The vast majority of the population is unaware and not informed about the myriad of individuals suffering from rare genetic kidney disorders. By purchasing a Bracelet, you are making an effort to reach out to those affected by rare genetic disorders and show your support by promoting awareness. The $5 Bucks For A Bracelet campaign allows people across the world to show his or her support by purchasing and wearing a bracelet. Each bracelet sold will benefit rare genetic kidney disorders and wearing the bracelet will raise awareness and advocacy. December 7th 2013. Thanks to all that came out in support of those with rare genetic kidney disorders. We had a great turn-out at Jack Perry's Pub & Grill. A special thanks goes out to Brent Furrie for hosting the event. 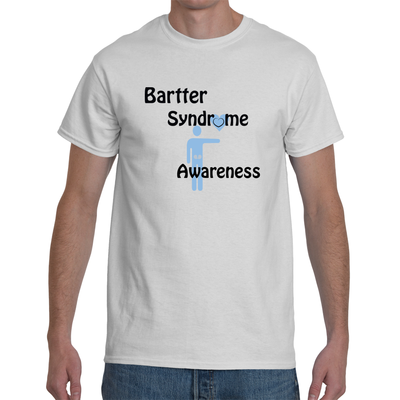 Our efforts generated the remaining funds for our IRS documents and allowed us to prepare for making a Bartter and Gitelman Syndrome Awareness Day. We need help and ideas for fundraising in 2014...Please contact EthansCure with your ideas and/or support. October 22, 2013. The Bartter Syndrome Foundation held its first ever Fundraiser! The event was a Halloween Fundraiser and included a haunted maze, games for children, raffle baskets and 50/50. Thank you to all our sponsors and volunteers for making this event a success. Our organization was able to raise enough money to pay for our state of Ohio incorporation fees and also contribute towards our IRS fees for 501(c)3 status.